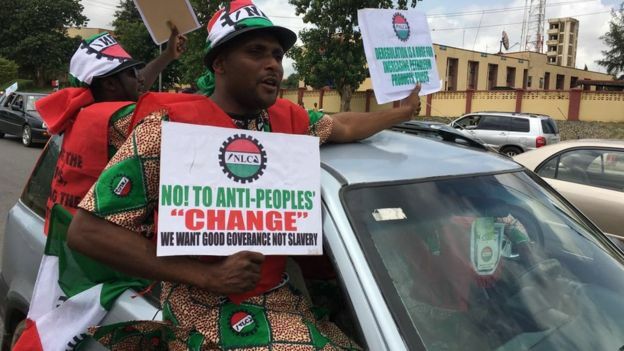 The Nigerian Labour Congress, NLC, has commenced its nationwide strike in protest of the government’s increase of petrol price and electricity tariffs. The congress wants both tariffs reversed, and has vowed an indefinite strike from Wednesday until the government accedes to the demands. A last minute dialogue on Tuesday to forestall to industrial action broke down after the government said it could only consider raising salaries and other measures to cushion the impact of the fuel price hike. Leaders of the NLC marched on Wednesday at about 9AM from Labour House in central district of Abuja to the federal secretariat, where the president of the congress, Aliyu Wabba, addressed workers. 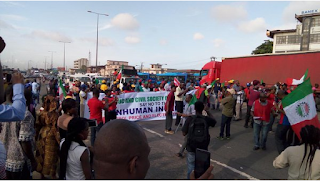 A procession of unionists and workers, decked in t-shirts and displaying flags, is to move to the Berger Junction in Abuja, and will continue every day until the government rescinds its decision, Mr. Wabba said. Meanwhile, bank workers and customers in Lagos ignored the call by a faction of NLC that workers should go on strike on Wednesday as banking activities remained normal. 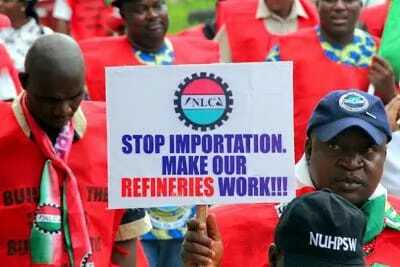 Kano, Katsina and Jigawa states’ workers failed to comply with the NLC’s call for an indefinite strike over the fuel increase price. In these states, banks, schools, markets and offices all opened for business.